Brunch is a true highlight at this French-style bistro with outposts across the country. But brunch is a misnomer for what happens at Bagatelle between noon and 6pm on Sundays. 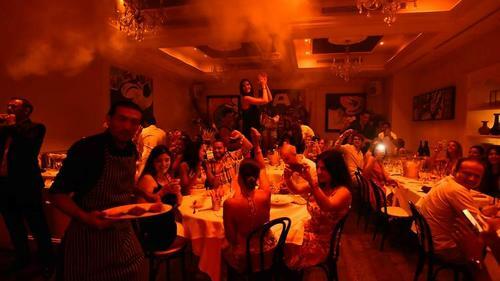 It's more like a dance party with bottle service meets a very dimly lit meal set to a bumping soundtrack. And we like it that way. Big parties looking to celebrate special occasions over giant, shareable drinks fare well here, as do smaller groups craving authentic French cuisine or an out-of-this-world burger served on a brioche bun and topped with fried egg. If arriving hungry, make sure to order early before your booth becomes a dance floor.